This week your two incongruous and divergent hosts take on a classic from the late great Neil Simon and titan of 70s sitcoms Garry Marshall. 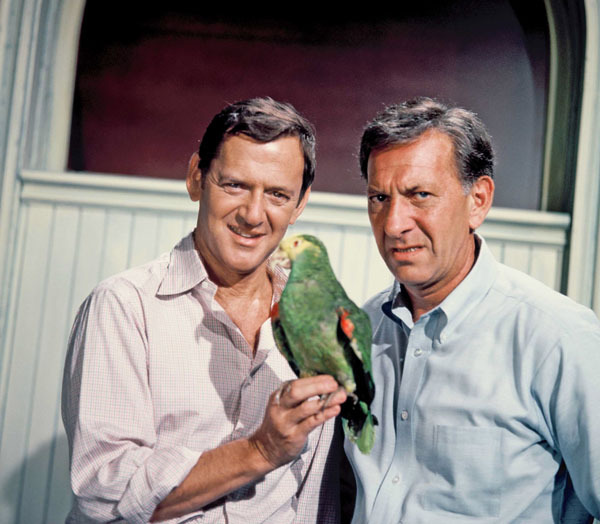 Will we be charmed by comedic mismatch of Tony Randall and Jack Klugman? Or will we find the public's continued affection for this show just...odd? Listen in to discover who was Klugman's unexpected real life roommate, learn how to play Password, and enjoy an episode of Trivia Only Hannah Could Care About. Felix and Oscar sing (?) "You're So Vain"